Home Main Video News 2 year old professional DJ. Must Watch Amazing Kid Playing DJ. 2 year old professional DJ. Must Watch Amazing Kid Playing DJ. 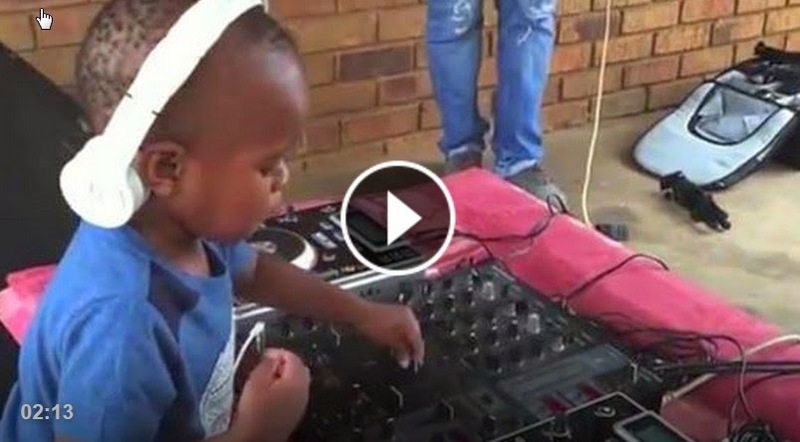 So amazing that this 2 year old kid can DJ like a pro. Watch how he dance with the tune and how he mix the sounds. so professional. @seargeant Finally someone posting a child doing something worth and positive showing his talent with music. Please continue to post things like this and not any ignorant mess about kids fighting or anything unproductive.